Review Summary: 'Mela' is old fashioned. Good chemistry, but ultimately Aamir Khan deserved a better plot. DEKHO 2000 `Mela` le aaya!" On the whole Mela stands out due to only two great tracks--Dekho 2000 zamana andDhadkan mein tum. 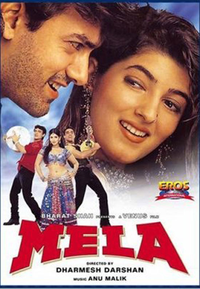 Mela once again proves that originality is dead in our films.